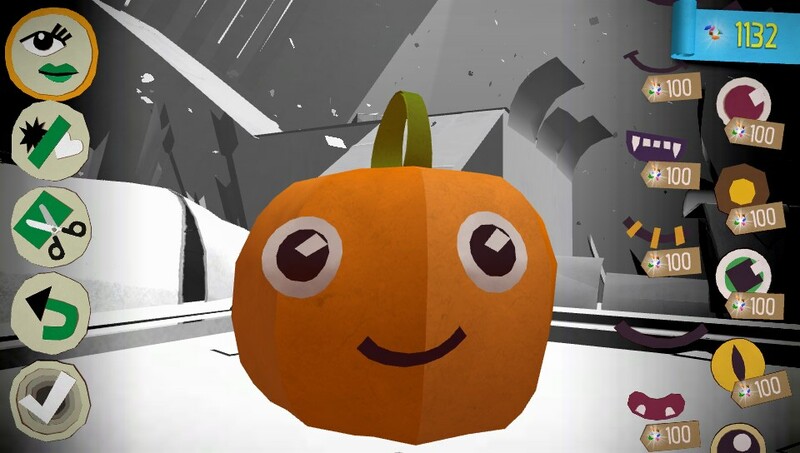 For the inhabitants of Tearaway, the adventure begins when a hole opens in the sun, and a face peers through. Your face, or in this case, my face, captured by the Vita’s camera. A brave little messenger named Iota (male – pictured above, riding the pig) or Atoi (female) – a creature with an envelope for a head, a big smile, and a schoolchild’s backpack – sets off to reach the face in the sun, and your job is to provide a helping hand. Often, this is literal! Tearaway uses every input method the Vita has: touch, cameras, buttons, analogue sticks, and more. So I might swipe the screen to unfurl a pathway, or fight off monsters by holding down the touch panel on the back of the Vita, sending my digital “finger” bursting through the ground. This is very easy at first, but the challenge ramps up – Tearaway never becomes as difficult as LBP, which grew so hair-pulling that I never finished it, but by its midpoint, I could comfortably call it a “game”, not just a tech demo. Customisation in action. Isn’t that the happiest pumpkin you ever saw? As this premise suggests, Tearaway is held together by a sense of playful whimsy; its world is bright, cheerful, and made of paper. Iota’s limbs, Atoi’s hair, the waves that roll up to the shore: they’re all strips of coloured paper. Even the monsters (“Scraps”) look to be made out of old newspaper. And like LBP, Tearaway encourages us to use our imaginations. In LBP, this meant dressing up Sackboy or creating fully-fledged, sometimes remarkable levels – I remember a custom level that was nothing but a giant calculator. There’s no level creator in Tearaway, but there are other outlets for creativity: characters may want you to doodle something using the touchscreen, snap a shot with the in-game camera, or take a photo of the real world that will show up in-game (for example, in my playthrough, one elk now has fur patterned after my tablecloth.) 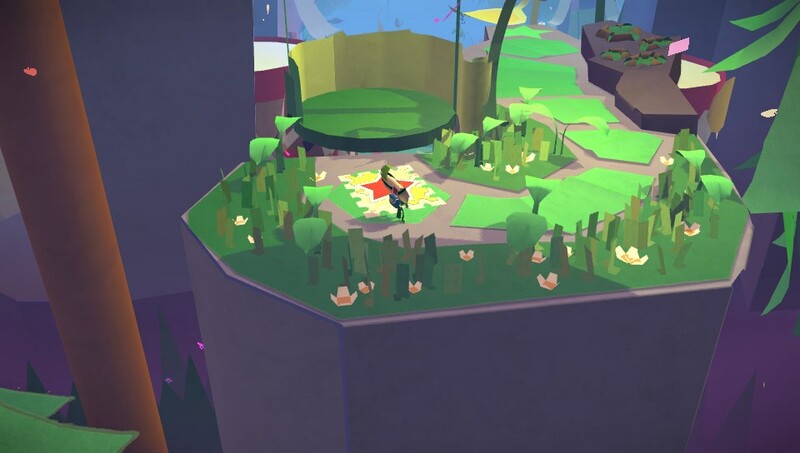 Tearaway even encourages us to extend that spirit outside the game! Each level contains several papercraft diagrams that, once unlocked, can be printed and assembled in real life. At the time of writing, I’ve unlocked 37 out of 60 and – with help – made one, a flower you can see below. This is Tearaway’s main source of replayability; I finished a couple of weeks ago, but I’ve dipped back in to pick up papercraft diagrams I missed – and snap a few more pictures along the way. Game, tech demo, toy; Tearaway is strongest when it succeeds at all three, but unfortunately, it doesn’t always. The first few levels showcase its world and themes, but as I noted, are rather easy. The last few levels are a dedicated platformer that use all the Vita’s controls, but lose much of the quirky charm. Tearaway peaks around its middle, where platforming, combat, and imagination produce an experience that’s just challenging enough while preserving the game’s sense of joy. 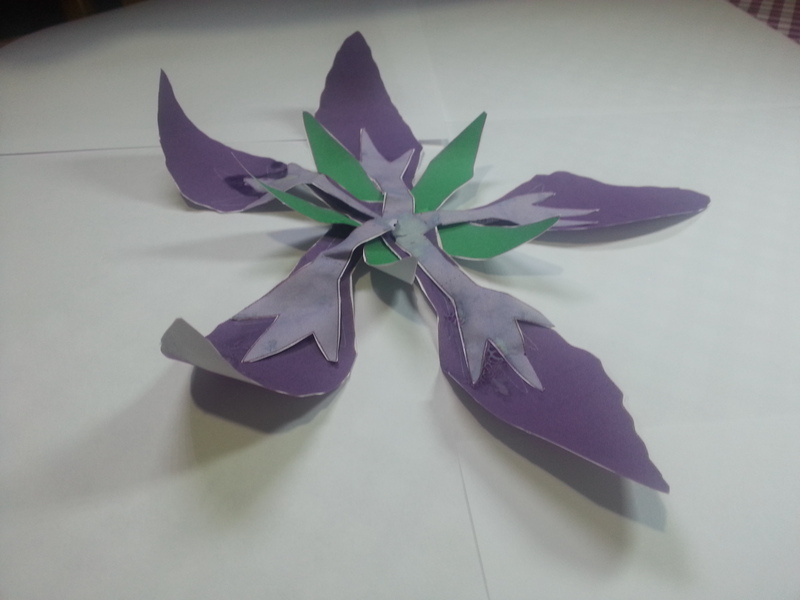 Papercraft flower: a tangible achievement. Lest that sound negative – I like Tearaway. That sense of joy is a rare and precious thing, especially in this medium (Nintendo aside). 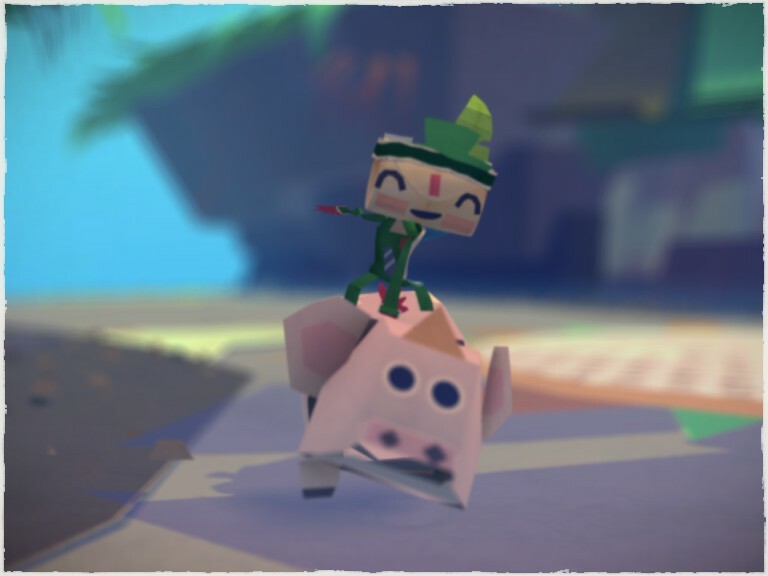 There are many games that are deeper and more complex, but no others that let me decorate a pig, take a selfie while standing on its back, and print out the pig to make in real life. If that appeals to you, give Tearaway a look. And if you have a Vita and a young child, run and pick it up: I can think of few games better suited to a family. The basis of this review: I finished Tearaway, taking circa 5-10 hours. A town, photographed by the in-game camera.